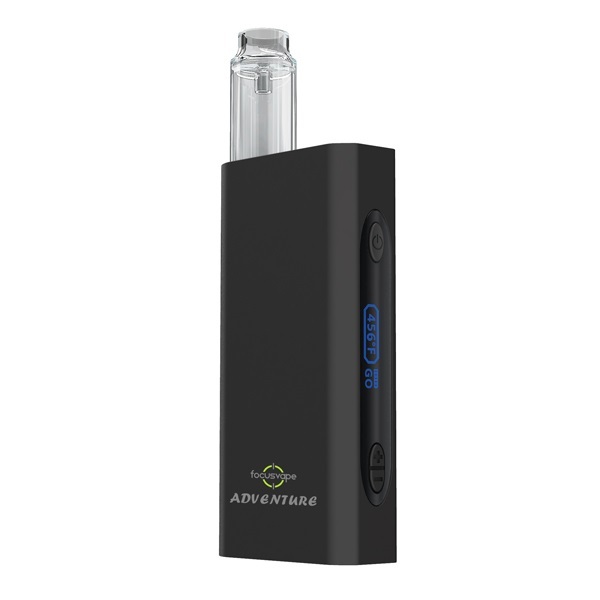 Introducing the latest innovation from iFocus Technology, FocusVape Adventurer portable vaporizer. 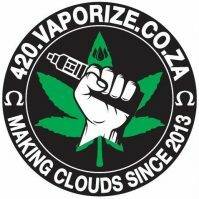 Uniquely structured with an integrated water bubbler inside its frame making your vape sessions smoother and cooler without worrying about breaking it while out and about. 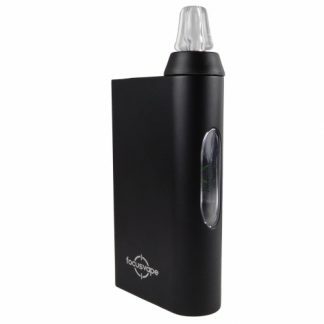 Deviating from the pen style FocusVape and FocusVape Pro, the Adventurer comes in a rectangular frame with a size that perfectly fits the pocket: 105mm L x 55mm W x 22mm D.
With a robust aluminium housing, it protects the electronics, chamber, battery and water bubbler inside. 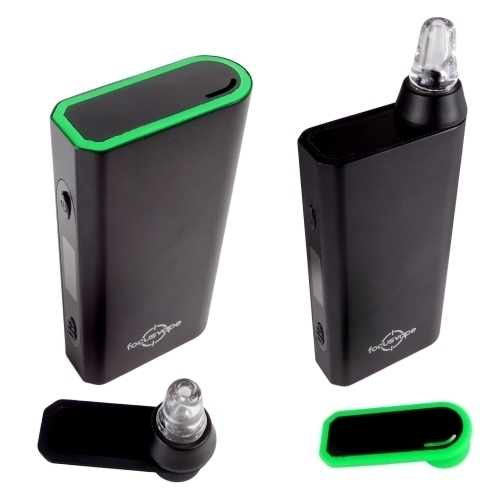 The operation is made simple with 3 buttons for power, + and – to increase or decrease the temperature and in between the power and temperature adjustment buttons is OLED screen that displays the temperature with a heating indicator that circles around the temperature as heating process is in progress and says GO when it’s ready for vaping. The screen also shows the battery life so you know when it’s time to recharge or change the battery if you carry a spare. 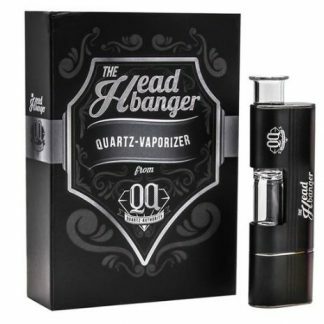 It also comes with a glass mouthpiece for that clean glass draw. For less refill, the Adventurer comes with a big ceramic chamber, making it ideal for vaping on the go. It is located at the bottom of the device with a pushdown cover mechanism. The device can heat up your dry herbs either by conduction method or by convection using the convection cart included in the kit. Chamber heats up pretty quickly in less than a minute. Giving you a wide spectrum of temperature to suit your preference, the Adventurer can be heated from as low as 80°C (176°F) to as high as 240°C (464°F). You can use the +/- buttons on the side to control the temperature. And with a smart memory technology, upon switching the device, it will recall the last used temperature. 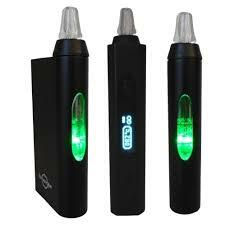 The unit comes with a removable rechargeable 18650 2,500mAh battery that can last you up to 10 sessions depending on the length of every vaping session. With a removable feature, you can purchase a spare battery so you don’t run out of power while out and about. A USB cable comes with every kit to charge the device. 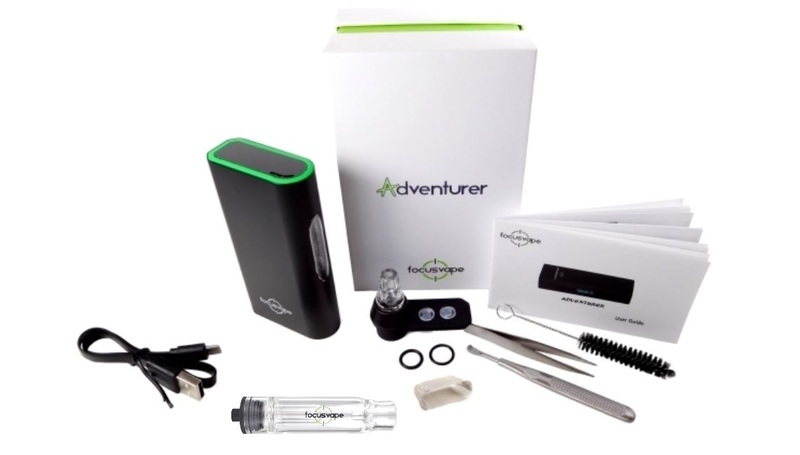 With iFocus Technology’s dedication to delivering innovative high-quality vaporizers, the Adventurer is equipped with extra features to add convenience for a more relaxing and cool vaping experience. Built-in spill-proof Water Bubbler that can easily be removed from the device so you can fill it with water and slides through quickly back into the device. 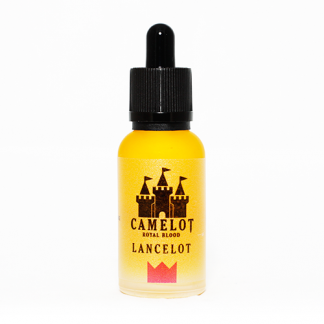 Being integrated insidethe device, this removes the hassle and worries of breaking like a traditional water bubbler that sits on top of the chamber. Vibrating buzz to let you know when its time to take your first draw. Smart memory technology that automatically heats up the device based on the last used temperature level. 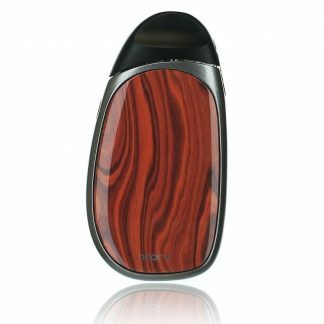 A clean Air Path that is completely isolated from the electronics of the device. 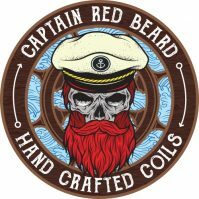 Magnetic Chamber Lid for easy access and quick seal. A Glass mouthpiece that you can comfortably take a clean glass draw. Convection Cart that allows you to try convection heating of your dry herbs instead of the default conduction heating of the device.